Sally is happy to talk with book discussion groups, occasionally in person, more often via Skype or Zoom. To read Sally’s essay about how memory becomes personal mythology, which is one of the themes of Jo Joe, please go to her blog entry Malleable Memory. 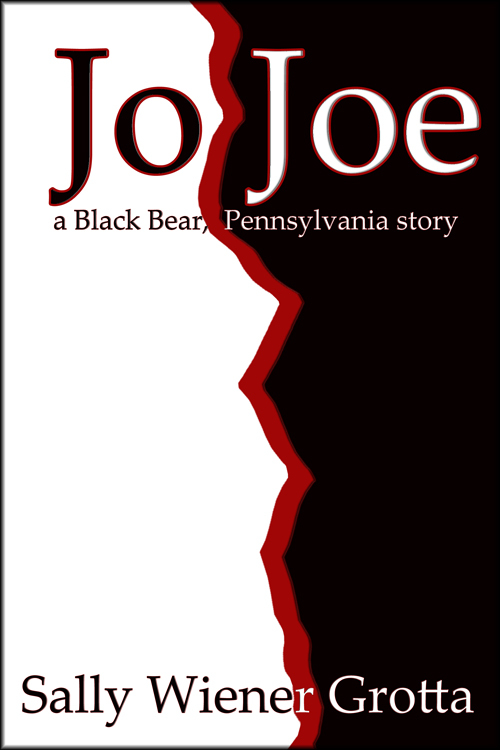 Jo Joe is set in the fictional Pocono Mountains village of Black Bear, Pennsylvania. Black Bear was created as a literary folie à deux by Sally Wiener Grotta and Daniel Grotta. Both Sally and Daniel have dipped into the same pool of invented locales and characters to write a series of separate stories and novels to paint a full picture of the diversity of life and relationships in a small mountain village. The first Black Bear story was Honor, a novella by Daniel Grotta. Sally is continuing to create other Black Bear stories. Daniel left two other novel manuscripts set in Black Bear, Adam V which is currently being edited and prepared for submission, and Black Bear One about the town’s volunteer ambulance company, which Sally will finish. Each Black Bear story stands apart from the others, as separate and complete. As a child, Judith Ormand was the only Jew — and the only Black — in a small insular Pennsylvania mountain village where she was raised by her white Christian grandparents. As a young woman, she must reluctantly break her vow to never return to the town she learned to hate. During her one week visit, she buries and mourns her beloved grandmother, is forced to deal with the white boy who cruelly broke her heart, and is menaced by an old enemy. But with her traumatic discovery of a long buried secret, Judith finds more questions than answers about the prejudice that scarred her childhood. Jo Joe has been gaining popularity as the starting point for open discussions about bias and prejudice, family misunderstandings, forgiveness and diversity. For some examples of programs for book clubs, schools, companies and other organizations that Sally offers on these topics, please go to the Crossing the Tribal Divide page on this site. Sally Wiener Grotta reading her novel "Jo Joe"